The Indian Premier League’s (IPL) 12th season begins with the blockbuster encounter between defending champions Chennai Super Kings (CSK) and Royal Challengers Bangalore (RCB) Saturday. Unlike previous editions, there will be no opening ceremony before the match but military bands will perform at the M A Chidambaram Stadium. “It’s about a 15 to 20-minute show which will happen. The band will perform just before the felicitation happens. The toss is being advanced by 10 mins,” an official close to the BCCI told the indianexpress.com. “The game will begin at 8 pm and toss will be at 7.30. From 7.20 to 7.30, the Madras Regiment band will perform for the audience,” the official added. Members of the Supreme Court-appointed Committee of Administrators (CoA) and representatives from the Indian Armed Forces will also be present at the venue. This move is yet another part of the series of gestures by the cricketing fraternity in the wake of the Pulwama terror attack, where 44 CRPF personnel lost their lives. 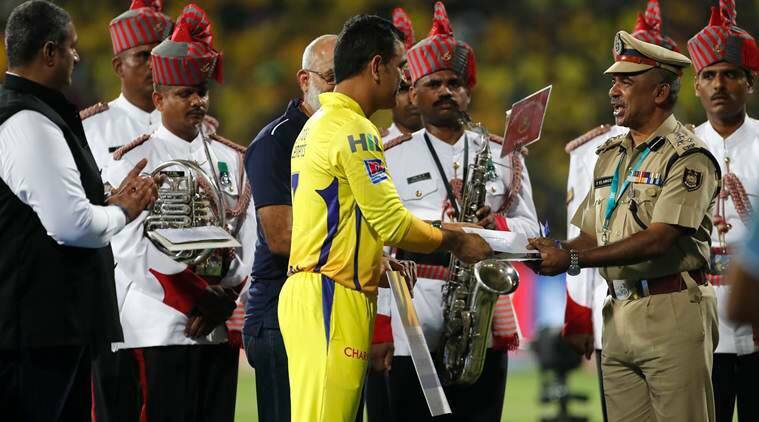 Earlier, CSK’s director Rakesh Singh had confirmed the team in yellow will donate proceeds from its first home match to the families of the Pulwama bravehearts, the team’s director said on Wednesday.